There is a cliché that we have all been used to hearing that states that “all men are equal” regardless of social standing or economic status. We will all agree to this, but the question is does this include “women” too? Many people in Nigeria agree with this, but what does the reality of women experiences in Nigeria say? Are some men not more equal than other men (women)? According to the Nigerian law, no one should be discriminated by reason of gender, race, or religion for any course. But what many women experience in Nigeria opposes this law. As developed as Nigeria may seem, many women still claim that the gender disparity between corporate men and women in Nigeria is pretty large. Even if many men claim it doesn’t exist. When we talk about gender discrimination in Nigeria, many of us just look at it socially and domestically, shockingly it is even more prevalent in the corporate world. While many women in Nigeria suffer gender discrimination that even affects their pay, others see the issue of the gender pay gap in Nigeria as an overrated feministic myth. 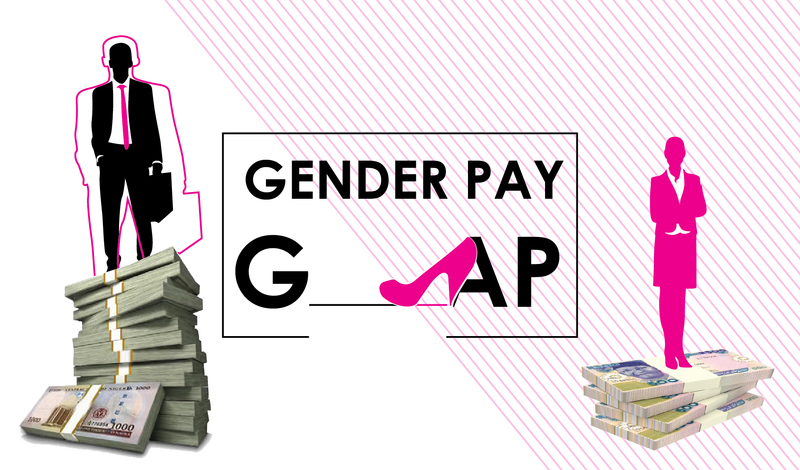 This article aims at examining the facts and myths about the gender pay gap in Nigeria and reasons for the gap. Before we continue, we will need to understand what gender pay gap is all about. What is Gender Pay Gap? Gender pay gap refers to the relative average difference between the remuneration for men and women who are working. The gender pay gap is the difference in the average hourly earnings of women and men within a particular economy. This is one of the most common gender pay gap myth in Nigeria. It is really surprising to discover that there are many people in Nigeria that believe that the gender pay gap does not exist. There are many people in Nigeria that believe that the gender pay gap doesn’t even exist all because it sounds too ridiculous to be true. Nigerian men have the belief that there is nothing like the gender pay gap, they rather believe that if anyone deserves a high compensation, then the person gets it regardless of gender. But in reality, the gender pay gap exists in Nigeria even though the rate and popularity vary due to some factors like location, industry type, and job role. This is seen as one most ridiculous gender gap myth in Nigeria. Gender pay gap is seen as an over exaggerated feminist myth in Nigeria which is not true. When people in Nigeria hear women talk about their gender discrimination experience, they feel is just a bunch of an over exaggerated thought that occurs as a result of their feministic mindset. The truth is that many women actually suffer gender discrimination in their place of work, but they can’t come out bold to speak about it because it will just be considered a mere myth. With a wide pay gap in many companies in Nigeria, many people still believe that even if there (is a pay gap which they don’t even totally agree) it is not a sign of discrimination. Many people claim that Nigerian women choose part-time jobs and jobs that are low-paying and less technical. So it is a matter of choice and not of discrimination. But the pay gap is obviously a sign of discrimination, because if many companies keep recruiting women in junior roles and promoting men in senior roles already show that there is a bias in the recruitment system which is discrimination already. Few people that agree that the gender pay gap exists have the mindset that women don’t negotiate their salaries well, and as such they get want they say. But that is not true because women negotiate just like men do. The problem many women in Nigeria face is that no matter how they negotiate the pay, they get what the employer feel they should get. Some employers in Nigeria will decide to pay a woman lower than a man because they feel a woman doesn’t need the money as much as a man does. As exaggerated and fantasias many Nigerians think the gender pay gap is, the fact is that the gender pay gap exists in Nigeria and many women suffer discrimination in their place of work. Saying that discrimination does not exist is almost like just being insensitive to your environment. Saying that gender discrimination does not exist is basically assuming, and assumption they say is the lowest form of knowledge. According to research, Nigeria ranks high among the most unequal countries in the world. In the past few years, there has been increased labour force participation, but notwithstanding the increase there is still a pay gap between male and females across all occupations in Nigeria. Many people believe that gender pay gap exists because women don’t know how to negotiate their salaries well. The truth is that it is not because women can’t negotiate properly, but because gender discrimination is part of our society and it needs to be treated properly. One of the major reasons/causes of the gender pay gap in Nigeria is occupational segregation. Some jobs are more dominated by men than women. According to research, 50% of the women in Nigeria work in only 7 occupations. Most Nigerian women tend to work in clerical occupations, sales, health care, social care, and the teaching profession. So the problem of discrimination is not a matter of salary negotiation, but it is more of a societal issue. One true thing about the gender pay gap in Nigeria is that more men are employed in senior positions in Nigeria than women. This is not an assumption it is a fact. When women are not employed in senior positions just like men are then they are prone to earn less than men. This is even where the pay gap starts. According to the report published by the national bureau of statistics in Nigeria states that 65.3% of senior positions are occupied by men compared to 34.7% by women between 2010-2015. The UNDP (2009) indicates that Nigeria’s gender pay gap is one of the highest in the world and females are under-represented in the higher paid positions. Even if the current report on gender for Nigeria is not as high as it used to be years ago, it doesn’t mean that it is not existing or that the general concept of gender pay gap is fallacious. It is almost like men worth more than women in Nigeria. Occupational selection; women tend to choose occupations that provide more flexibility for them to better manage their family and children. Direct discrimination by employers; many employers in Nigeria tend to discriminate women most especially when it comes to the position they occupy in the office. Socio-cultural factors; Traditional believes and responsibilities pose more domestic responsibilities on women than men, and as such allows them to always look for jobs that will enable them to balance their domestic responsibilities and their jobs. That is why women would prefer to work for fewer hours. Gender Stereotypes; there are some stereotypic views about gender in Nigeria that brings about occupational segregation among men and women in Nigeria. These stereotypes affect the career of men and women in Nigeria. In Nigeria there are widely shared believes that men are more socially valued than women. Bias more advantageous to men; looking at the social situation in Nigeria, women are more subjected to negative stereotypes than men when it comes to working When women are mostly seen as not competent enough to undertake some task, on the other hand, men are more likely to receive positive evaluations of their competencies. The graphs below shows the average population of women and men in the most common job fields and the salary average in these different job fields. Looking at the average number of females in engineering is almost insignificant. This job field is dominated by the male gender. Apply for engineering jobs in Nigeria here. Project management is one job field that is dominated by the male gender. More than 60% of the average population in this job field in Nigeria are males. 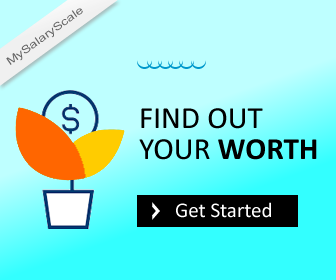 See project management jobs here. It is important to note that the information given in the graph above may not be exact. The salaries are averages and the overall information given below is based on our research which will be subjected to review over time. Accepting that a problem exists is the first step to actually finding a solution to that problem. If Nigeria as a great nation doesn’t accept the reality of the gender pay gap, then taking actions to eradicate it would be difficult. This article aims at exposing the facts and myths and the general concept of the gender pay gap in Nigeria. Until we eradicate all the fragments of discrimination in our nation the wage gap will persist.